Profit-with-purpose business: breakthrough to scale? The World Economic Forum’s Global Agenda Council on Philanthropy and Social Investment is working on a social sector counterpart of WEF’s Global Competitiveness Report. What’s the idea? To encourage countries to compete with each other to create the most conducive environment for social innovation, explains Matthew Bishop, chair of the Council. Under the auspices of WEF’s Global Redesign Initiative, the Council, with support from Avina Foundation and Deutsche Bank, is developing a Social Competitiveness Index (SCI) which will rank countries according to the effectiveness of their legal, fiscal, governance and cultural environment for fostering social innovation. take to scale the ideas that do work. Governments must be ready to work in partnership with the social sector to take new ideas and scale them up. Corporations must be willing to take new ideas of social and environmental responsibility and make them part of their mainstream business models. New legal structures for social investment will also be crucial. As Bishop explains, the developers are by no means prescriptive about either this hypothesis or the means to create a useful index and are actively soliciting contributions to the debate. 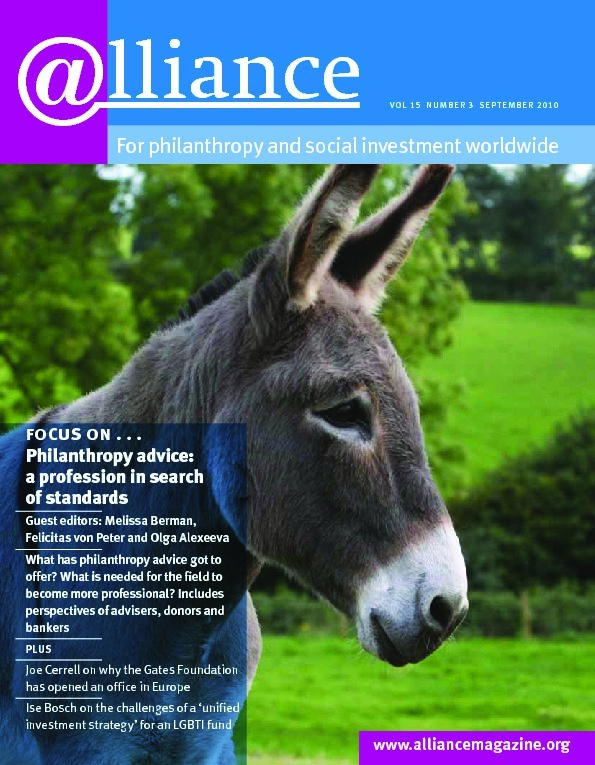 The creation of the SCI, reckons Bishop, writing in Tactical Philanthropy (22 June 2010), would both provide valuable knowledge about the preconditions for social innovation and enable decisionmakers and leaders in all sectors to set the standards needed to allow social innovation to prosper.